This thread may be used to inform forumites of interesting archeology/paleontology news, lets keep the posts short and always link to a source, please. I'm opening the thread with a local find. The site is under 10 km from my place. Part of the burial ground of the earliest christian church yet found in Finland has been found, and the burial of a 13th century women has been excavated. No written records of this site exist. Among finds are remnants of cloth used during the time, as of yet the colors used are unknown, samples of the cloths are sent to Belgian laboratory for color analysis. Parts of socks and a skirt (apparently also a cape) have been identified. In a 5,000 year old grave outside Falköping, scientists have found the oldest traces of the plague bacterium's DNA in the world. "The discovery of such an early variant of the bacterium in Falköping was totally unexpected since previous findings pointed to Yersinia pestis as having originated in Asia. 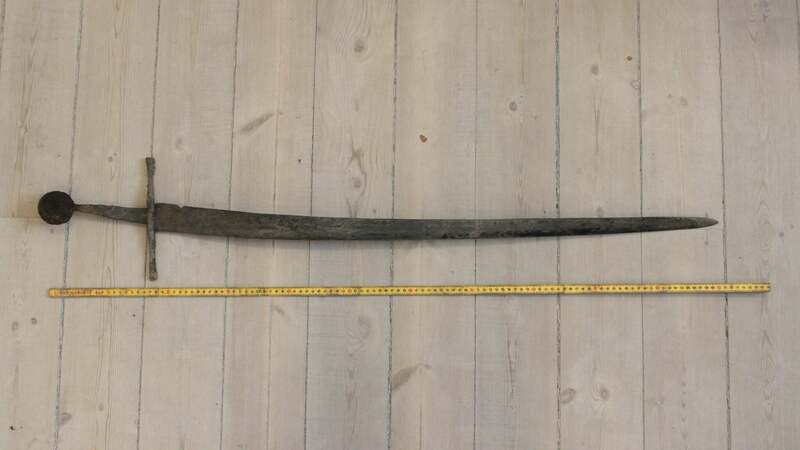 The find in Falköping also means that the researchers may have solved another mystery. It was only recently discovered that people in different regions of Eurasia were all infected with the plague during the Bronze Age. t was by analysing 'molecular clock' data that the researchers discovered that different strains of the plague bacterium spread very rapidly in Eurasia between 5,000 and 6,000 years ago. This matches exactly a period in South-East Europe when the first large population densities arose but also collapsed. It was also at this time that many technological breakthroughs occurred such as the wheel, the use of draught animals, and metallurgy – breakthroughs that facilitated long-distance trade, for example. Stalagmites in a Chinese cave have given scientists all they need to reconstruct the historical record of atmospheric radiocarbon (carbon-14) back to the carbon dating limit of around 54,000 years ago. carbon dating requires calibrating because levels of carbon-14 in the atmosphere vary from year to year. Tree ring data provides a good gauge for carbon dating because their growth reflects their yearly uptake of atmospheric carbon-14. But tree ring data only goes back around 13,000 years. Hai Cheng at Xi’an Jiaotong University, China, and colleagues in the US previously discovered that a stalagmite in Hulu Cave in China showed unusually low and stable amounts of dead carbon that allowed for accurate carbon-14 calibration between around 27,000 and 10,500 years ago. Now the team have studied two older stalagmites in the cave to help take carbon dating to its limit. Lots of pictures on the link. Quite a bit of the paint is preserved. The 300,000-year-old Schöningen spears are throwing spears from the Palaeolithic Age that hold the record as the oldest known wooden artifacts in the world. They are also the oldest completely preserved hunting weapons from prehistoric Europe so far discovered. To find out if the Schöningen spears could hit a target at a distance, Annemieke Milks, from University College London, and colleagues made replicas of the prehistoric weapons. They also asked six javelin athletes to throw the spears. The researchers chose javelin athletes for the study because they have the skill to throw at high velocity, which can match of the capability of Neanderthal hunters. The athletes showed they could hit a target at a range of up to 20 meters, and with significant impact that could translate into killing a prey. This means the wooden spears would have allowed the Neanderthals to use them as hunting weapons and kill at a distance. The Neanderthals have long been known as hunters but the finding is significant since earlier studies suggest these archaic human species could only hunt and kill their prey at a close range. The demonstrated range was, in fact, double the distance scientists previously thought the spears could be thrown. One of my pet peeves is scientists painting Neanderthals as primitive brutes (which they did to make modern us more special). Of course nowadays we know they and Homo Sapiens mixed so they could probably communicate. Agreed, with the additional observation that Neanderthals were Homo Sapiens...Also as we learn how many non-homo animals use tools, even as weapons, this news makes even more sense. Homo sapiens (anatomically modern humans) emerges close to 300,000 to 200,000 years ago, most likely in Africa, and Homo neanderthalensis emerges at around the same time in Europe and Western Asia. "The reservoirs of fat in the long bones of carcasses were a huge calorie package on a calorie-poor landscape. That could have been what gave an ancestral population the advantage it needed to set off the chain of human evolution."
. "The meat of wild animals is lean," Thompson says. "It actually takes more work to metabolize lean protein than you get back." Modern 21st Century Anglo-Saxon man mostly just eats the lean meat of an animal. Three or four generations or more ago this was not the case for most people. Everything got eaten - the offal, the tripes, the head, and the marrow. I remember being at a smallholder credit meeting in Malawi back in the early 1980's. The one bit of the goat we had for dinner I could not eat was intestines on a stick. I was not keen on bat kebabs either. Chinese cuisine - in China - also uses all of the animal. To say that an early humanoid would just have eaten the lean meat from an animal it killed is just stupid, as were those early Arctic explorers (and like Scott who would not eat the horses to supplement their food supply on his fatal Antarctic adventure). And just about all predators will eat carrion if it is available and digestible. So an argument that says carrion vs an argument that says hunting is also completely dumb, as they are not mutually exclusive. I thought Elane Morgan had the transition pretty much nailed down with her aquatic ape hypothesis. A prolonged period of exploiting the tidal reaches, using the high protien harvest available there, the closer for me was that menses ceases whilst swimming. the closer for me was that menses ceases whilst swimming. Are you joking? If so, my apologies for being slow. If not please provide a reference for this assertion. "Are you joking" Iirc it's what the book said, the consensus now seems to be that the flow ceases due to external water pressure[?] whereas the book associated it with other reflex actions, the heart slowing when the head goes under water being one, rapid reduction of flow to near surface capillaries another. 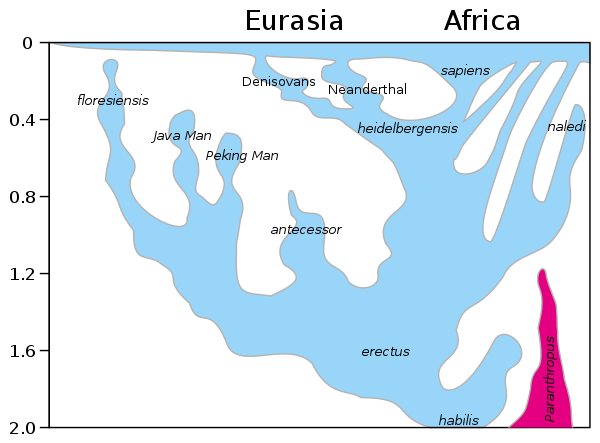 "The Naked Ape" by Desmond Morris opened my mind to the possibility of an aquatic ancestor. Living in a commune at Ortega Hot Springs convinced me that those ancestors were on to something good. But as Xinhua points out in an update to this discovery, further lab work has shown that the substance isn’t wine at all. The liquid is primarily comprised of potassium nitrate and alunite—the main ingredients of a life-enriching elixir documented in ancient Taoist texts. It must work: that urn is 2000 years young! Yes, and a tomb must be the ideal location for an 'elixir of immortality'. 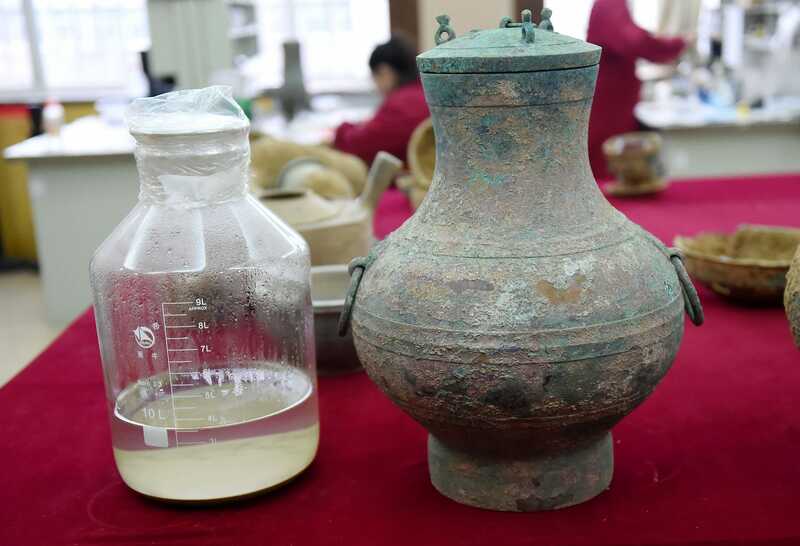 in addition to the pot, yielded the well-preserved remains of a nobleman, painted clay pots, materials made from jade and bronze, and a lamp in the shape of a wild goose. I think the people who stacked the tomb, were experts in irony. A pot with an 'elixir of immortality' and 'a lamp in the shape of a wild goose'. Great combination. I must have slept for 3 weeks after partying too hard on Friday night/Saturday morning. Hey, don't knock it ... Maybe those folks were on to something there. ... The liquid is primarily comprised of potassium nitrate and alunite—the main ingredients of a life-enriching elixir documented in ancient Taoist texts. 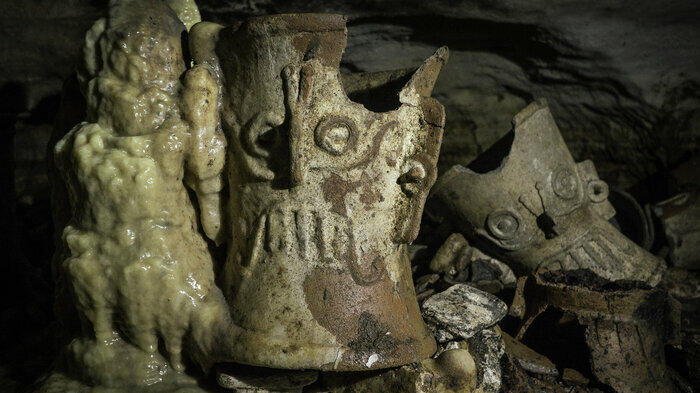 The water drip over hundreds of years has resulted in the concretion of some of the objects, including this incense burner in the shape of Mayan rain God Tlaloc. 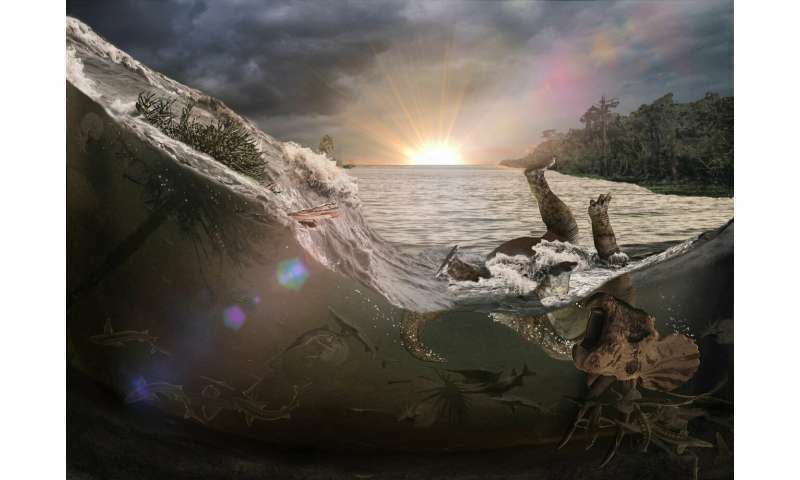 ... in a paper published in the journal Nature Scientific Reports, Kennett and colleagues, led by Chilean paleontologist Mario Pino, present further evidence of a cosmic impact, this time far south of the equator, that likely lead to biomass burning, climate change and megafaunal extinctions nearly 13,000 years ago. 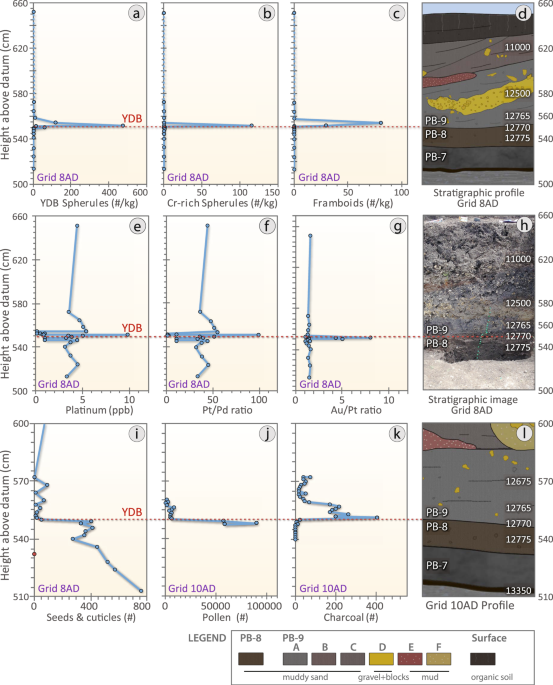 "We have identified the Younger Dryas Boundary (YDB) Impact Hypothesis layer at high latitudes in the Southern Hemisphere at near 41 degrees south, close to the tip of South America," Kennett said. This is a major expansion of the extent of the Younger Dryas Boundary (YDB) Impact Hypothesis event." 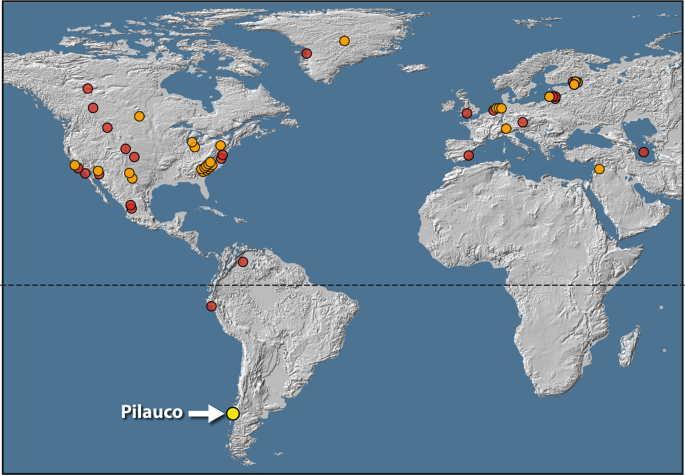 The vast majority of evidence to date, he added, has been found in the Northern Hemisphere. Investigators recognized changes known to be associated with YDB impact event. They included a "black mat" layer, 12,800 years in age, that coincided with the disappearance of South American Pleistocene megafauna fossils, an abrupt shift in regional vegetation and a disappearance of human artifacts. ... the group decided to run analyses of impact-related proxies in search of the YDB layer," Kennett said. This yielded the presence of microscopic spherules interpreted to have been formed by melting due to the extremely high temperatures associated with impact. The layer containing these spherules also show peak concentrations of platinum and gold, and native iron particles rarely found in nature. The rapidity—within a few years—with which the climate shifted is best attributed to impact-related shifts in atmospheric systems, rather than to the slower oceanic processes, Kennett said. 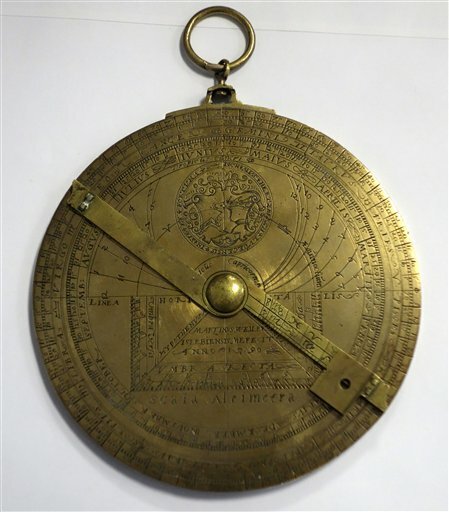 The Sodré astrolabe is believed to have been made between 1496 and 1501 and is unique in comparison to all other mariner's astrolabes. The astrolabe comes from a set of excavations of the Sodré shipwreck off of Al Hallaniyah, an island off of the Omani coast. The ships were part of a subfleet of the Portuguese armada on a trip to India led by Vasco da Gama in 1502-1503, commanded by da Gama’s uncles Vicente and Brás Sodré. They’d anchored by Al Hallaniyah to find shelter from the seasonal monsoon winds—but a particularly strong wind sunk the ship, killing many of its sailors and Vicente Sodré.